Pip Spiro is a Brisbane-based watercolour artist whose stunning works are inspired by the natural world and her vibrant south-east Queensland surrounds. Inspired by Danie Mellor’s hauntingly beautiful works depicting Queensland’s natural landscapes in Life in Irons, Pip has crafted a still-life watercolour workshop using native plants that would have been prevalent in pre-colonial Brisbane. 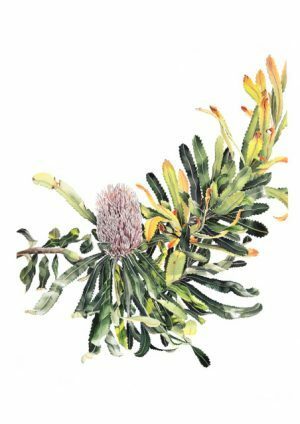 Sharing her practice and techniques, Pip will guide you through the process of painting Brisbane’s native flora in exquisite detail.